the entire country literally plunged into darkness when they were hit with the longest power outage blackout in the countries history. This has brought the situation to a boiling point for many as tensions have been steadily rising to the point of reaching a dramatic climax! Dan Dicks of Press For Truth speaks with Josh Sigurdson of World Alternative Media about the ongoing situation in Venezuela, where it all began and more importantly where this is going in the very near future! Excellent post As a Venezuelan resident in Venezuela, I share your ideas. In effect this is a catastrophe. One day I wake up wanting to go running, and another, I look at my house, my things, my family and I think everything could change for good overnight. It is a total uncertainty, but the hopes are the last ones that are lost and we have faith, a lot of faith. Resteemed. Sometimes I swear I live in Venezuela. So many have moved here to Panama. Great update. Keep it coming. 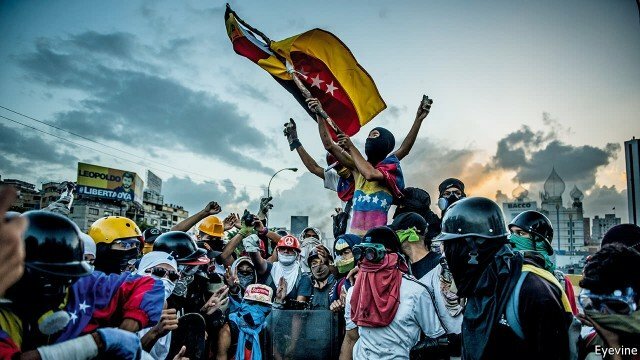 No more tyranny for Venezuela. Good interview, Josh is great.